Caponi Art Park was conceived as an outdoor laboratory to teach and demonstrate how creativity is an essential part of daily living. From 1949 to 2013, Anthony Caponi, park founder, sculptor and Macalester College art professor, devoted himself to organically integrating art, life and nature into a 60-acre sculpture and a center for all the arts. Opened to the public in 1987, encouraged by local government and residents of Eagan, Caponi Art Park was incorporated as a nonprofit in 1992 with arts and education programming for the community. Performances by the regions tops artists began in 1996. Over the years the Park has hosted several artists-in-residence and commissioned new theatrical and musical works. Today, Caponi Art Park serves over 18,000 visitors annually, providing high quality opportunities for engagement in a variety of arts experiences for a rapidly growing and diverse community. Caponi Art Park has long been promoting environmental stewardship and public art and community involvement – what is now call creative placemaking. In the mid-1980s when Eagan was the fastest growing city in the country the Park’s founders asked city officials to look to the future and include a space for the arts from the beginning. When the primary concern is streets, and sewers etc. it was initially hard for them to envision that one day residents would need more than ballfields to build a community. 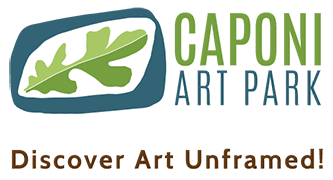 While Caponi Art Park may have begun as the work of one person it has become a thriving organization that is embraced by the community and all the stronger for its clear mission. The Park is a leading cultural center in the south metro area, and a model for other communities who have been inspired by Caponi Art Park’s successful community collaborations and creative placemaking.